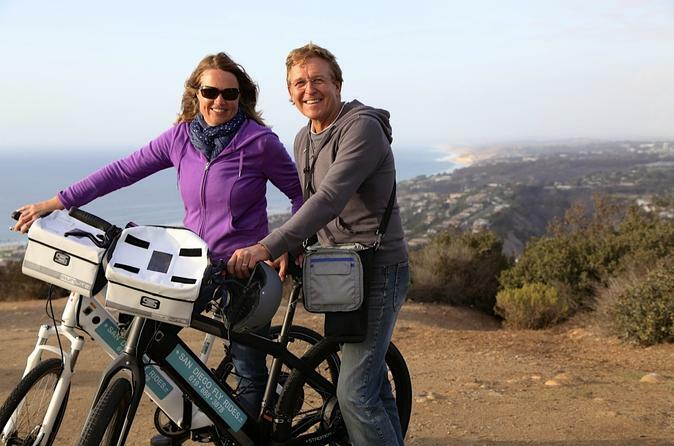 On this tour you'll use powerful electric bikes to meander through the sun-soaked hills of Mount Soledad, San Diego’s highest coastal point with sweeping 360-degree views, all the way down to La Jolla Coves to watch California sea lions play along the majestic shoreline. Discover La Jolla: the Jewel by the Sea, where the French Riviera meets Beverly Hills. 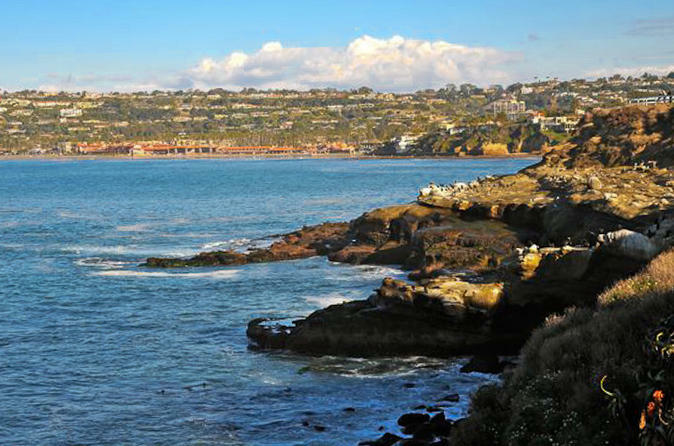 Enjoy a 2-hour guided segway tour including La Jolla Cove, La Jolla Village (otherwise known as La Jolla Prospect or Downtown La Jolla), beautiful La Jolla homes, legendary surf spots and beaches and more! 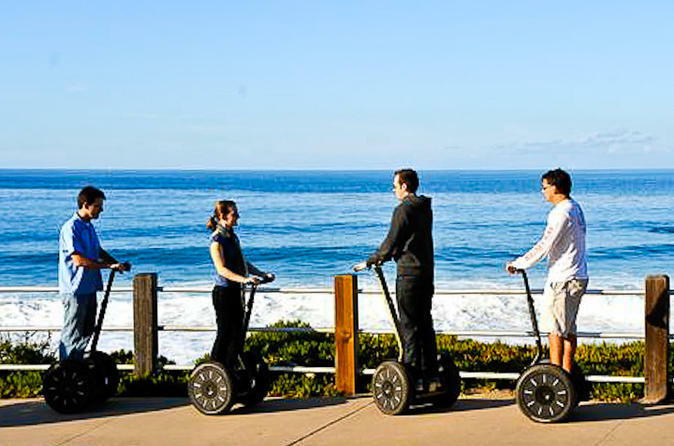 This 2-hour segway tour is both an exciting and relaxing way to explore San Diego and La Jolla. 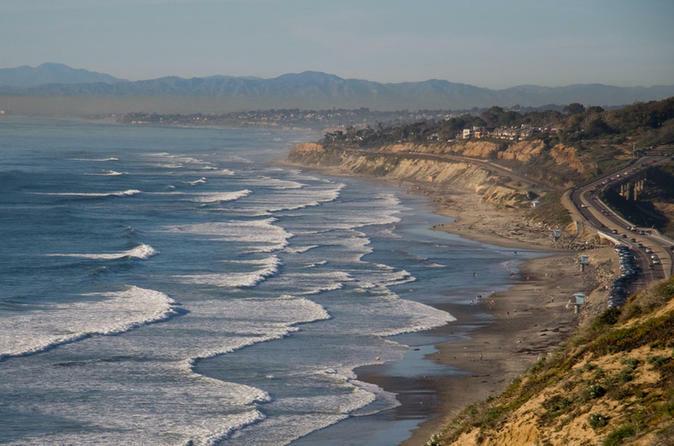 Your guide will lead you past the gorgeous coastline, luxury real estate and all the rest that this chic southern California community has to offer. Come ride with us along the coast on an amazing electric bike that will help you pedal up any hill possible! 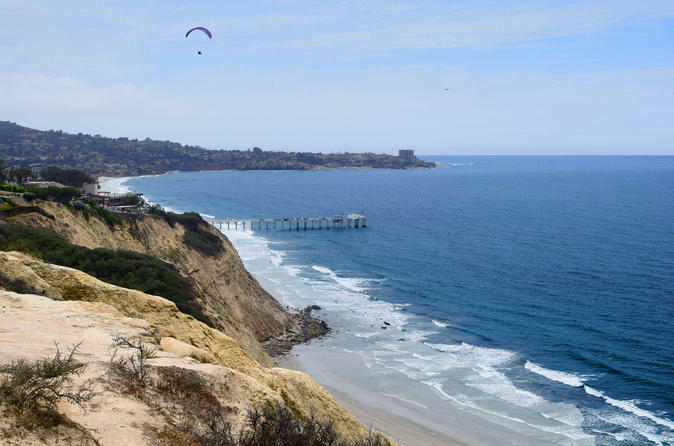 Explore the scenic variety that La Jolla has to offer, from the playful seals by the Children's Pool to the magnificent lush neighborhoods on these electric bikes! End all this with a backdrop of the sunset by Windnsea Beach where the Beach Boys performed their famous song, Surfin' USA! Come join us as our reviews speak for themselves as we assure you it will be one of the best lasting memories you have on your trip! 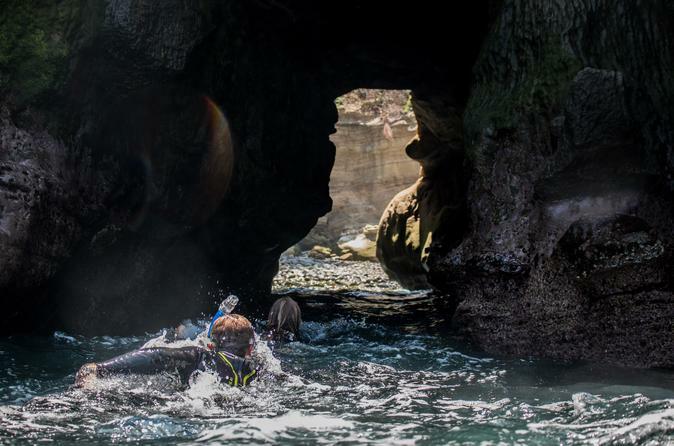 Join us for a snorkel tour in the sea caves off the La Jolla Cove. Join us for an opportunity to snorkel with the Garibaldi's, seals, Senorita fish and many other beautiful sea life! Not only will you see amazing sea life, but you will have the chance to swim INTO sea caves! Please note that you must be a good swimmer in order to join us on this adventure as local regulations do not allow us to bring life vests out in this area. The best way to really know and enjoy a place is definitely by bike. This unique Scenic Ride will take you to hot spots of the San Diego coast through the historic highway 101. On the turn around you will enjoy the best açaí bowl in América to recharge all your energies to cruise back. Take in the incredible views on this thrilling segway ride, pushing maximum speed. This tour is all about enjoying quick, open-air riding and amazing scenery. Travelers must be comfortable riding and maneuvering a segway at full-speed, and have previously taken any segway tour. 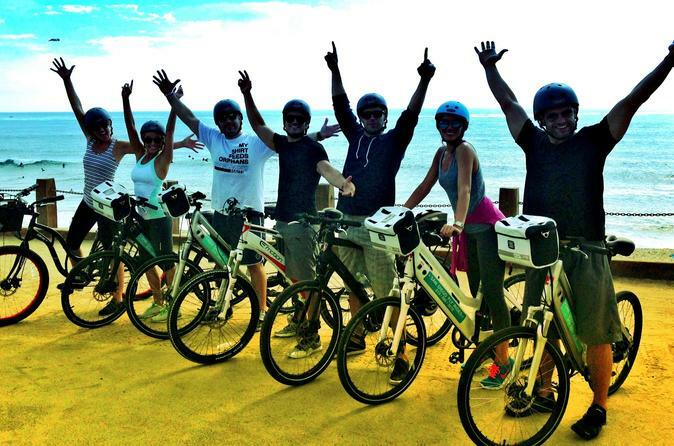 There is truly no better way to experience San Diego than on one of our high performance electric bikes! Enjoy the power and freedom to explore “the Jewel” on your own. Great for meandering the gorgeous bike baths of Balboa Park or for cruising up the terraced back streets of La Jolla! Options are endless when you’re traveling on one of our Electric Bikes. 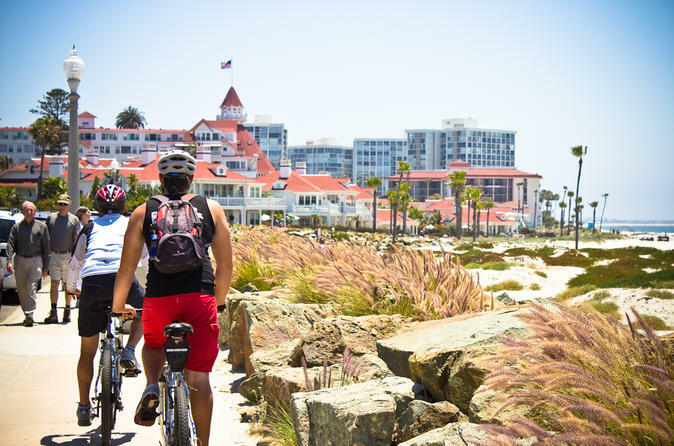 This leisurely bike tour takes riders through the bike-friendly city of Coronado on terrain so flat your pedals will nearly rotate themselves. 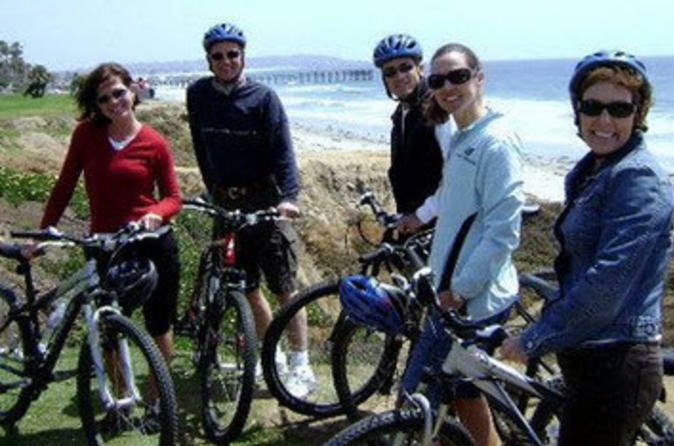 Enjoy this magnificent tour under the graceful Coronado Bridge, past the historic Hotel del Coronado and Glorietta Bay. Check out the Naval Amphibious Base, the Silver Strand, Orange Avenue and Ferry Landing. This tour is great for beginning bikers, as well as first time visitors as they experience an exciting sight seeing tour that covers more of the island than even the locals know about.